Senior Lisa Marie Rogali has been selected as the speaker for the 2016 College of Arts and Architecture's commencement ceremony. She is graduating with a bachelor’s degree in music education. Post-graduation, Lisa plans to attend the University of Cincinnati’s College-Conservatory of Music to pursue a master’s degree in voice and opera performance. Lisa has been an active performer in both opera and musical theatre settings while at Penn State. Some of her Penn State Opera Theatre credits include Elle in La voix humaine, Musetta in La bohème, Blanche de la force in Dialogues of the Carmelites, and Dorabella in Cosi! She has also sung leading roles in Leonard Bernstein’s MASS, produced for the College of Arts and Architecture’s fiftieth anniversary in 2013, and in Stephen Sondheim’s Marry Me a Little for the School of Theatre. 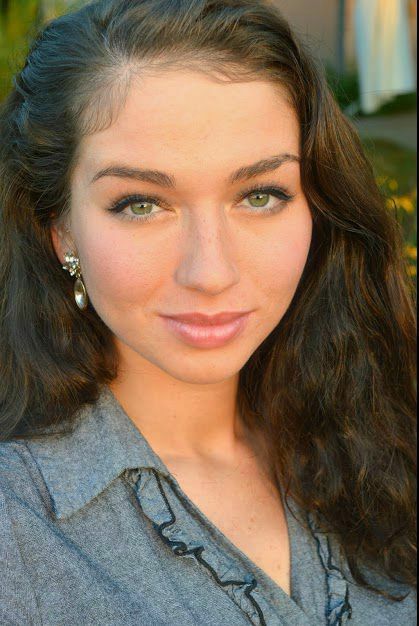 This past summer, she performed the roles of Cosette in Les Misérables and Louise in Gypsy in the State College area. This June, she will portray the infamous Eliza Doolittle in My Fair Lady with State College’s FUSE Productions. Rogali, a voice student of professor Jennifer Trost, has also gained recognition in national and regional competitions. Most recently, she received the Encouragement Award at the Metropolitan Opera National Council Auditions in Pittsburgh. She was named a winner twice at the fall student auditions sponsored by the Allegheny Mountain Chapter of the National Association of Teachers of Singing. Next, she will compete as a semi-finalist in both the Classical Singer Competition in Boston and the National Competition for Voice in Sarasota. She was recently named the 2016 recipient of Penn State’s John W. Oswald Award in the creative and performing arts category. Other Penn State awards and scholarships include the School of Music’s Willa C. Taylor Scholarship and Marjorie Jane Brewster Scholarship, which pays for the first year of graduate music study; the College of Arts and Architecture’s Creative Achievement Award and Golumbic Scholarship; and Jury Recognition and Jury Honors. She was a member of the Penn State Concert Choir, as well as a soloist with the Pennsylvania Centre Orchestra, the Penn State Philharmonic Orchestra, Eric Whitacre’s Virtual Choir, and more. “I look forward to pursuing my musical endeavors and couldn’t be more thankful for all Penn State has given me,” Rogali said. The College of Arts and Architecture spring 2016 commencement ceremony will take place at noon on Saturday, May 7, in Eisenhower Auditorium.